The Crime Intelligence Division of the South African Police Service (SAPS) is currently in a shambles and is unable to function effectively and efficiently. This is largely the result of years of in-fighting, poor leadership and maladministration caused by inappropriate political interference. Fortunately, the national commissioner of the SAPS, General Riah Phiyega, is fully aware of the problem, and admitted before parliament on 18 September 2013 that the SAPS’s Crime Intelligence Division was ‘ailing’. In a subsequent interview with Eye Witness News on 30 September she further conceded that Crime Intelligence needed ‘cleaning up …because policing without intelligence is not going to take us anywhere’ [own emphasis]. House robberies (where people are attacked by armed gangs in their homes) increased by 7,1% to 17 950 incidents, representing an additional 1 184 households compared to the previous year. Business robberies increased by 2,7% to 16 377 incidents. There were an additional 426 armed attacks on businesses in 2012/13 as compared to the previous year. This crime type has increased by 345% in the past eight years. Vehicle hijacking increased by 5,4% to 9 990 incidents. This means that 28 motor vehicles were hijacked every day on average. Shopping centres experienced a 60% increase in robberies (from 274 incidents in 2011/12 to 438 in 2012/13) and a staggering 88% increase in financial losses. Jewellery stores saw a 63% increase in robberies (from 38 to 62 incidents) and a 30% increase in financial losses. Retail members of the Consumer Goods Council of SA in general experienced an overall increase of 36% in aggravated robberies and a concomitant increase of 67% in financial losses. The impact of these figures is also reflected in the Grant Thornton International Business Report’s quarterly surveys among business people in South Africa. In the survey the question is asked whether they, their staff or their family have been affected by serious and violent crime. Since this survey was first undertaken in 2007, responses have revealed a decrease in criminal victimisation. However, in 2012 victimisation rates started to increase, from 46% to 52%. By the second quarter of 2013 victimisation rates had risen to 61%. This means that by mid-2013 15% more business people in South Africa had been affected by serious and violent crime than in 2011. The only sub-categories of aggravated robbery that showed persistent decreases in the past five years were bank and cash-in-transit robberies. However, these decreases can largely be attributed to the measures implemented by these industries to protect their assets. Crime Intelligence officers perform their functions by conducting ‘network’ operations and undercover or ‘covert’ projects. Network operations generally refer to information that is gathered through a network of informers, electronic surveillance and other sources. ‘Undercover projects’ refers to operations involving agent infiltration and the recruitment of sources (informants) within target organisations such as crime syndicates. In addition, this division is responsible for analysing crime statistics and other information so as to direct visible policing operations. According to the SAPS’s Annual Performance Plan for 2013/14, Crime Intelligence conducted an annual average of over 25 000 network operations in the past three years. For undisclosed reasons, 2011/12 appears to have been an exceptional year with more than 49 000 operations undertaken. The number of covert projects is classified and therefore not reported on. Given that the approximately 8 000 police officials in the Crime Intelligence Division are clearly busy, the obvious question is why they are not effective against organised crime. The simple answer is that the ‘ailing’ state of the Crime Intelligence Division can mainly be attributed to a combination of large-scale fraud and corruption within the division, and the struggle for political control of this powerful intelligence institution. The previous head of Crime Intelligence, Mulangi Mphego, was forced to resign in 2009 after he was accused of interfering with state witnesses in the corruption case against former national commissioner Jackie Selebi. 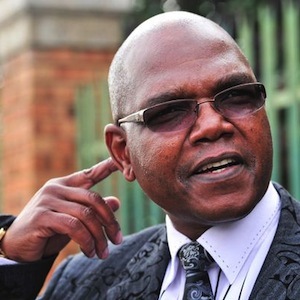 Mphego’s successor and current head of Crime Intelligence, Richard Mdluli, was suspended in May 2011 after being arrested on a number of criminal charges, including murder, attempted murder, intimidation, kidnapping, assault and defeating the ends of justice. Both these appointments were primarily political in nature. In November 2011 more criminal charges against Mdluli followed and he was charged with fraud, corruption, theft and money laundering. A number of other senior Crime Intelligence officers were implicated in the latter criminal charges and were either suspended or transferred. In June 2012 Major General Chris Ngobo, from the Protection and Security Division, was appointed acting head of the now joint Division for Crime intelligence, Protection and Security Services. In late 2011 and early 2012 there appeared to be an orchestrated attempt to reinstate Mdluli as investigations against him were halted and all the charges were withdrawn. That this was as a result of political interference emerged after acting national SAPS Commissioner Nhlanhla Mkhwanazi told the police parliamentary committee that ‘forces beyond him’ were responsible for this shameful state of affairs. This apparent political interference was quashed when Freedom Under Law (FUL) on 23 September succeeded in its application in the North Gauteng High Court to force the National Prosecuting Authority to reinstate all criminal charges against Mdluli, and the national commissioner of SAPS to reinstate disciplinary proceedings against him. The judge found that the decision to withdraw the charges despite hard evidence was unlawful and irrational. The Mdluli debacle means that a number of highly skilled and experienced Crime Intelligence officers were removed, as they posed a threat to him. This also means that the division relies primarily on the dedication of lower-ranking officers who cannot trust their leaders to do the right thing. The results speak for themselves. For further information and analysis on the latest 2012/13 South African crime statistics see the ISS Fact Sheet: Explaining the official crime statistics for 2012/13.